What is the difference between Ausline and Lowline? The Ausline Cattle Association has a commercial focus with an emphasis on producing a viable beef product. For Vitulus this is important if a cattle breed is to have continued relevance for the next 20 years. 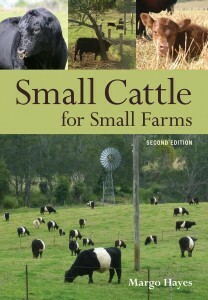 Ausline two herd books one being for Fullbloods which are derived from the Lowline and Angus genetics. The other is the Purebred register which allows upgrading of percentage cattle to purebred status. The Ausline Association offers many distinct advantages including acceptance of all colours in their herd books, a commercial register allowing fullbloods and purebreds to be shown together, a defined height limit for showing purposes only of 130cm, ability for members to show red genetics, established export markets and established award winning beef markets. They are a beef breed of the future producing premium small and quality beef. The meat is tender, tasty and marbled. Lowline cattle are a pure Australian breed of cattle that were developed at the Government’s Trangie Research Centre. Trangie acquired its Angus herd during a 45 year period. The herd then remained closed for the next 30 years and it is from within this herd that the Lowlines were derived providing some of the purest Angus genetics you will find. The project began in 1963 with Lowlines being released onto the market only in 1992. They are black, naturally polled and at all stages of their growth are 60% of the size of the normal Aberdeen Angus, from which they were derived. At birth calves average 15-25kg. Neither breeds carry the Achondroplasia (Dwarfism) gene and therefore there is no risk of genetically generated deformity or abortion. Calving Losses are extremely low and even heifers have great ease in calving. Both breeds are institutionally recognised beef breeds (Ausline designated OZ and Lowline AL) and have been accepted for showing as a beef breed, by the Royal Agriculture Societies in most States of Australia. These small, docile, acknowledged and accredited, early maturing cattle will appeal to both the commercial cattle industry and the small acre farmer. With the help of Shannon Lawlor, a young Lowline member, we have been able to identify 35 generations of breeding for Black Arrow Midnight Diamond (one of our sires). The linage goes back to 1824 to a cow called old Grannie (from this original Angus herd) The 29th cow (Erica) in Midnight Diamond’s female line is the one circled in the painting (right), she was regarded as the epitome of bovine femininity. The 34th cow (Old Granny) lived until she was 36 years old, producing 29 calves, 11 of which were recorded in the first foundation herdbook. She died after a thunderstorm in 1859. Shannon read somewhere that she stopped producing milk at 35 and received a special medal at a show just before she died.